The Seattle City Council has an aggressive schedule to adopt the Mandatory Housing Affordability (MHA) legislation by the middle of March. They will discuss amendments to the MHA and to the Comprehensive Plan in January. The single Public Hearing will be held on Thursday February 21. This will change our city forever! The Seattle Coalition for Affordability, Livability, & Equity (SCALE) remains concerned that MHA does not truly address affordability, destroys the livability of our homes, and provides no equity for non-wealthy residents. Unfortunately, the Appeal of the MHA Environmental Impact Statement (EIS) was not successful, except for requiring the City to more fully examine the impact on historic properties. Now is the time to push City Council, especially your Councilmember, to make the MHA Grand Bargain the Right Bargain. SCALE is hosting an educational forum, “Fixing the MHA Grand Bargain” on Saturday January 12 from 10:00 AM to 12:00 Noon at the Central Area Senior Center, 500 30th Ave S.
The urgency for action now! The results of the MHA EIS Appeal. What was learned from evidence presented at the Appeal. Amendments being proposed to correct deficiencies in the MHA legislation (for both citywide and neighborhood specific issues). The action plan to get amendments into City Council for discussion and adoption. An optional background session covering “What is MHA?” will be held at 9:00 AM before the main meeting. There is no need to RSVP. Coffee and light snacks will be provided. The closest bus routes are 14 and 27. Questions? Contact SCALE at info@scaleseattle.org. Use your power to save our beloved neighborhoods and City. Please get involved and attend the forum! The Ruling of the Hearing Examiner does not address the wisdom of the MHA legislation. Please see the editorial “A wake-up call for Seattle neighborhoods”, The Seattle Times editorial “Mayor must work with neighborhoods on Seattle’s growth and affordability plans”, and David Horsey’s cartoon “Shattering Seattle’s great neighborhoods”. This entry was posted in Calls to Action, City Council, Land Use, Mayor, Parking, Quality of Life, Schools, Transportation, WallHALA on January 9, 2019 by Frank Fay. Go to the Membership page. Log into your account and complete payment. If you don’t have an account, you can create an account and then complete payment. If you would prefer to pay by check, please make your check payable to: Wallingford Community Council; memo: Membership. You may mail the check to Wallingford Community Council, PO Box 31698, Seattle, WA 98103-1698, or pay in person at the next WCC monthly meeting on Wednesday February 6. Sorry for any confusion. Happy New Year! In 2017, the WCC moved to a calendar year membership. You can join at any time throughout the year, but to be a member for the full twelve months, please renew or join now! Anyone who wishes to become a WCC member, but cannot afford the membership fees, may request a waiver discount code from the WCC Board. Please apply using the Contact Us page. This entry was posted in Monthly Meeting on January 9, 2019 by Frank Fay. The Design Review Board for the Northeast District considers two neighborhood development projects in Room 202 of the Good Shepherd Center, 4659 Sunnyside Ave N.
6:30 PM: 4106 Stone Way N (3032254). Early Design Guidance for a 5-story, 113-unit apartment building with retail. Parking for 80 vehicles proposed. Existing buildings to be demolished. Details and Design Proposal. 8:00 PM: 3421 Woodland Park Ave N (3032609). Early Design Guidance for an 8-story, 123-unit apartment building and 5 live/work units. Parking for 9 vehicles is proposed. Existing buildings to be demolished. Details and Design Proposal. The overall appearance of the building. How the proposed building relates to adjacent sites and the overall street frontage. How the proposed building relates to unusual aspects of the site, like views or slopes. Pedestrian and vehicular access to the site. Quality of materials, open space, and landscaping. Upcoming Design Review calendar for development projects. The Wallingford Neighborhood Design Guidelines. This entry was posted in Land Use, Parking, Quality of Life on January 7, 2019 by Frank Fay. Location: Room 202 of the Good Shepherd Center, 4659 Sunnyside Ave N.
Welcome / Call to Order. Special Guest: Martin Kaplan of the Queen Anne Community Council (QACC). He will review the current Accessory Dwelling Unit (mother-in-law apartment and backyard cottage) rules, and the Appeal by the QACC of the proposed new rules. Update on the Appeal by the Seattle Coalition for Affordability, Livability, and Equity of the Environmental Impact Statement for the Mandatory Housing Affordability policy. The January Monthly Meeting is cancelled! The next Monthly Meeting will be Wednesday February 6, 7 PM. Time to renew your Wallingford Community Council (WCC) Membership! Good of the Order (anything people want to bring up). This entry was posted in Backyard Cottages, Land Use, Monthly Meeting, Quality of Life, Transportation, WallHALA on November 30, 2018 by Frank Fay. Saturday February 2, 11:30 AM at the South Hub. Walk on the Viaduct and in the Tunnel for Free! Saturday February 2, 1:00 PM – 6:00 PM. Tunnel access at the North Portal and the South Hub. Viaduct access at the Battery Street Tunnel and the Seneca Street ramp. Free tickets are required to access either the Tunnel or the Viaduct or both roadways. See Step Foward for more information and to reserve tickets. Paid events include an 8K Run/Walk starting Saturday February 2, 7:30 AM at the North Hub, and a Cascade Bicycle Club ride Sunday February 3, starting 8:00 AM – 10 AM at the North Hub and ending at 12:30 PM. K C Dietz and Amalia Walton from the Lake Washington Rowing Club on maintaining public access to Lake Union at Waterway 23. Eliza Ives and Jacob Orenberg from Seattle City Light on the “Public Direct Current (DC) Fast Charging Electric Vehicle” pilot program in the Gas Works Park area. Darby Watson, Project Development Director, from the Seattle Department of Transportation will give an overview of recent design changes to the Green Lake and Wallingford Paving and Multi-Modal Improvement Project (which includes N/NE 40th Street). The City Arborist will discuss plans for the trees along N/NE 40th Street (and answer questions). The next Monthly Meeting will be Wednesday December 5, 7 PM. The play area in Wallingford Playfield will close on Tuesday November 6 for renovation and improvement, and is expected to open with new play equipment in early 2019. The play areas at the North Transfer Station are closed through December 2018 for improvements to address Americans with Disabilities Act (ADA) requirements. This entry was posted in Monthly Meeting, Parking, Quality of Life, Shorelines, Transfer Station, Transportation on November 3, 2018 by Frank Fay. 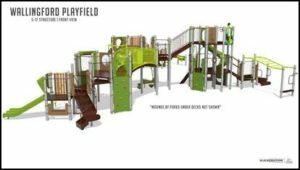 The play area in Wallingford Playfield will close on Tuesday November 6 for renovation and improvement. Construction fencing will be installed and demolition of the existing equipment that has been compromised because of termites will be removed. Seattle Parks and Recreation anticipates opening the renovated play area in early 2019 after the new play equipment is installed and improvements made. 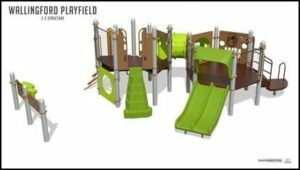 The new play equipment will meet current safety standards, and ensure accessibility to all children ages 2 to 12 in compliance with the Americans with Disabilities Act (ADA). This entry was posted in Quality of Life, Schools on November 3, 2018 by Frank Fay. The play areas on Woodlawn Ave N and Carr Place N at the North Transfer Station are closed while contractors for Seattle Public Utilities (SPU) work on improvements to address Americans with Disabilities Act (ADA) requirements. Much of the public space including the fitness equipment will be closed for the duration of the construction and the work areas will be surrounded by temporary fencing. Work is expected to continue through December 2018. Pavement at the basketball court will be changed to standard concrete. There will also be new handrails installed along some of the walkways, improving access for all users. SPU will try to open up individual areas (like the playground) as soon as they are fully completed. The work notice has more details on work hours and construction impacts. This entry was posted in Quality of Life, Transfer Station on October 26, 2018 by Frank Fay. 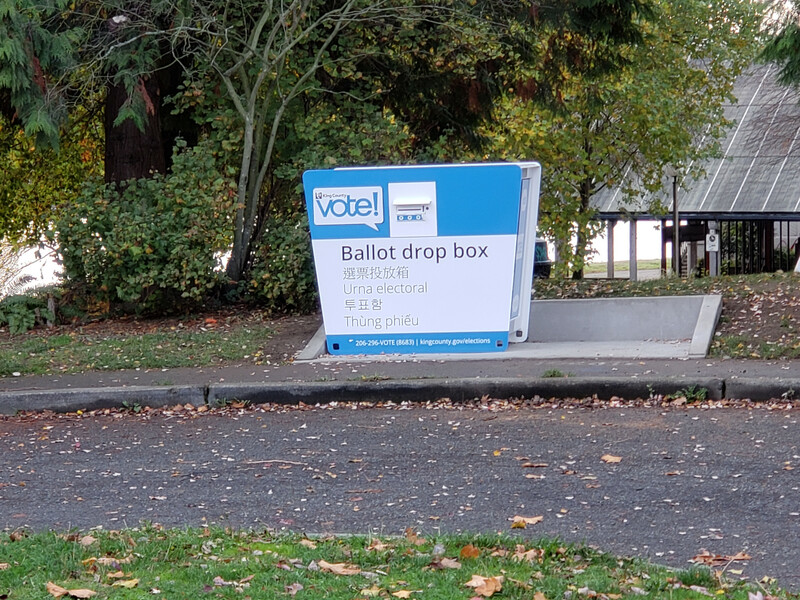 There is a new Ballot Drop Box next to Gas Works Park for this election. It is located at the Waterway 19 pull-out just east of the main parking lot on N Northlake Way. Ballots can be returned by mail for free without a stamp, and must be postmarked by Election Day, Tuesday November 6. Or ballots can be placed in a Ballot Drop Box by 8 PM on Election Day. Further information is available at King County Elections. This entry was posted in Uncategorized on October 25, 2018 by Frank Fay.